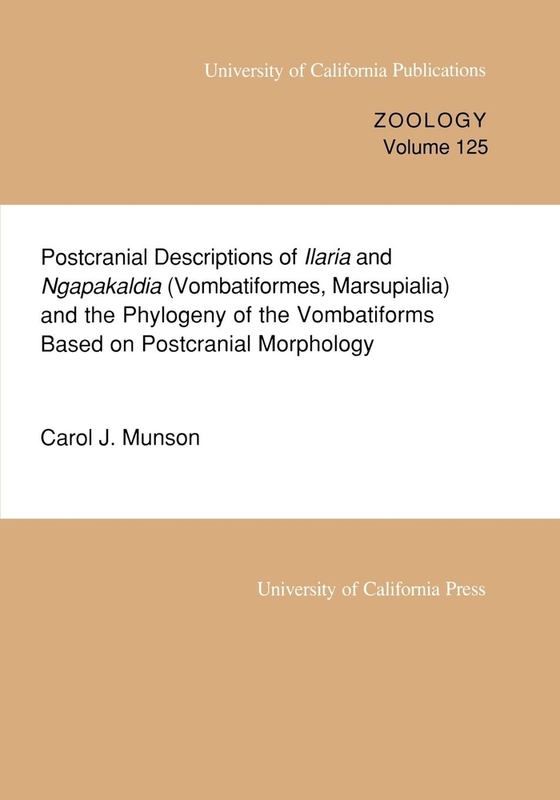 The author describes the postcrania of the Miocene marsupials Ilaria illumidens and Ngapakaldia tedfordi and compares them with those of other vombatiforms and out-group marsupials. 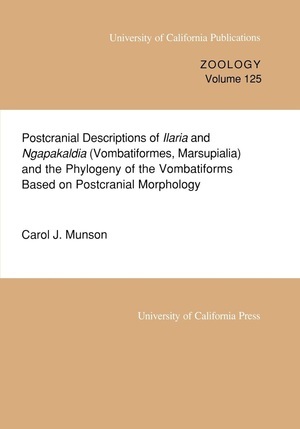 A cladistic analysis of postcranial characters shows Ilaria to be most closely related to the wombats, primarily on the basis of the highly derived manus. Ngapakaldia's postcranium is more plesiomorphic and most similar to the phalangeriform possums.